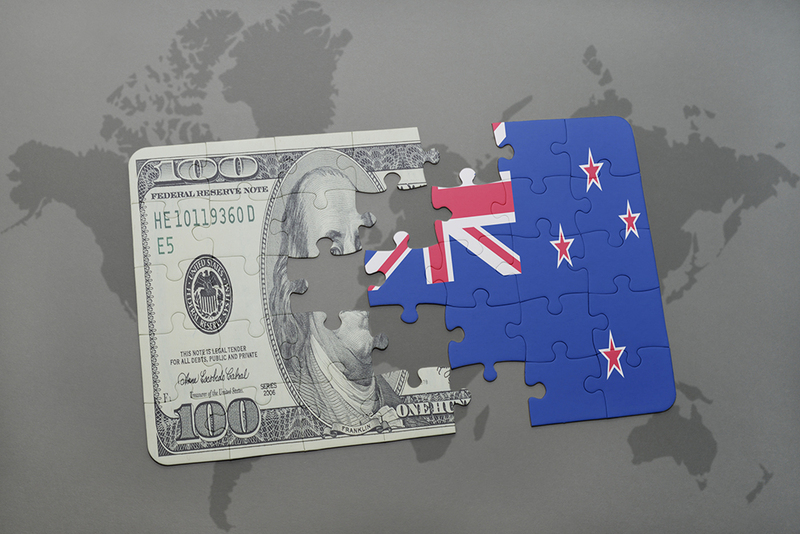 Wild swings of sentiment and direction in global investment markets over recent weeks has created an environment of turbulence and uncertainty that has to some extent side-swiped the NZ dollar. Tumbling global equity markets are never a positive influence for the Kiwi dollar and the significant sell-off in US markets in late December (for a whole host of reasons) sent the Kiwi down to a low of 0.6600 on 3 January. Adding to the Kiwi selling pressure at the time was a “flash crash” event in the Japanese Yen/USD currency market that saw the Yen strengthen from 109.00 to 104.80 in a matter of hours. The sudden and very large Yen buying was reported as being due to automatic stop-loss orders being triggered in the Yen/AUD market. The trigger for the panic (not uncommon in the Japanese Yen FX market from time to time) appeared to be Apple Inc downgrading its first quarter profit guidance. Japanese investors are notorious at bringing funds home when there is extreme volatility in global investment markets, causing the “safe-haven” status of the Yen in currency markets. The massive unwinding of long AUD/short Yen positions sent the Australian dollar into a nose dive to below 0.7000 against the USD for the first time since January 2016. The Aussie has since recovered to above 0.7100 following the latest speech from Federal Reserve Governor Jay Powell wherein he played down the inference that the Fed were on a predetermined path in raising US interest rates. The sharp recovery in the AUD, has allowed the Kiwi to bounce immediately off 0.6600 and now it trades back up to 0.6730. The NZD/USD depreciated 1½ cents from the 0.6850 level following the softer than anticipated GDP result on 20th December. The 0.30% expansion in the New Zealand economy in the September quarter was well below prior forecasts of +0.50% and it even prompted one local bank to immediately change their 2019 OCR interest rate forecasts from increases to cuts. That seems to be an overly pessimistic outlook on the local economy which is still humming along on high commodity prices and extensive construction activity. The reality is the timing of primary industry production and export volumes can throw the GDP numbers around between quarters in New Zealand. The NZ economy expanded by 1.0% in the June quarter, therefore a 1.3% growth increase over six months still seems robust to me. Likewise, it does not pay to read too much into the exaggerated movements of the Kiwi dollar against the USD in thin/lower liquidity holiday FX markets. Local USD exporters who placed staggered FX orders with their bank from 0.6750 down to 0.6600 to increase hedging levels have been well rewarded as it appears the spike downwards in the Kiwi dollar has been very short-lived. Another likely reason for the depreciation of both the AUD and NZD against the USD over the Xmas/New Year period is the growing unease on the performance of the Chinese economy. Lower global growth forecasts for 2019 based on the US and China not maintaining their economic growth momentum of 2018 is certainly a negative for “growth/commodity” currencies like the AUD and NZD. Should the current more pessimistic outlook on global economic growth (as reflected by weaker equity markets) transpire into reality through 2019, the outlook for the Kiwi dollar must be less positive than predicted through this column over recent months. However, there is no guarantee that the equity markets have picked the weaker growth scenario accurately. Much of the selling of shares in the US has been more about investors converting their spectacular equity gains from hyped-up technology stocks over recent years into cash. The markets also reacted badly to the mid-December Fed rate hike that was not as dovish in the rhetoric as most had expected. Since that time Fed boss Jay Powell has responded that they will be patient with rate hikes and they are monitoring both global economic trends as well as equity market conditions. There are very mixed messages from the data on the performance of the US economy currently. November jobs increases were weaker than average at +176,000, however they roared back in December with a whopping 312,000 uplift. The ISM manufacturing activity survey was sharply lower in December at 54.1, down from 59.3 in November. The ISM index at 54.1 is at its lowest levels since November 2016. Perhaps the trade war tariffs are hurting the US manufacturing base (as was anticipated). President Trump’s trade wars policy was always likely to back-fire on him as it adversely impacts on the US economy and thus reduces his chances of re-election in 2020. The Chinese and the US reach broad agreement on reducing trade tariffs and protecting technology intellectual property. Trump is under pressure domestically, he needs a foreign policy victory and a compromise deal with the Chinese on trade will do it for him. The US Federal Reserve continue to ease back on the pace of increasing their interest rates. They are also prepared to slow down the unwinding of Treasury Bonds held on their balance sheet if necessary. A more conciliatory Fed from here is negative for the US dollar. Should these two events occur, downward pressure is removed on the Kiwi dollar. Two local factors that are potentially more positive for the Kiwi dollar is the continuing recovery upwards in dairy prices (the last three GDT auction results have all been price increases) and a CPI inflation result on 22 January that is well above consensus forecasts of a 0.30% increase for the December quarter.